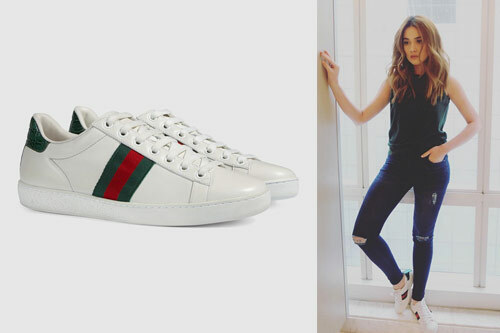 This Particular Pair Of Gucci Shoes Is The Favorite Of Celebrities! How Much Is It? Unbelievable! Gucci shoes are all the rage right now. That is, if you’re a celebrity and you make a ton of bank. 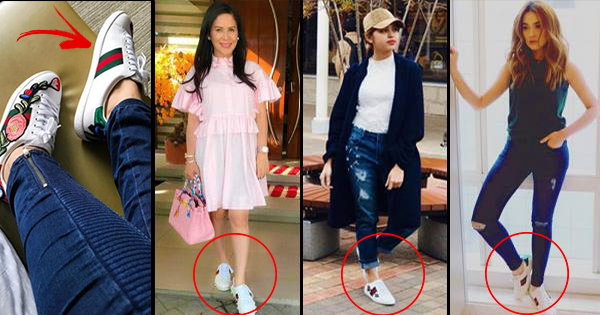 A particular style of Gucci shoes, the Gucci Ace low-top sneaker, is currently a fave among your fave Pinoy celebs. Unfortunately, not everyone can afford these luxury shoes. Why? They cost a ridiculous amount of money. Over P26,000 to be precise. 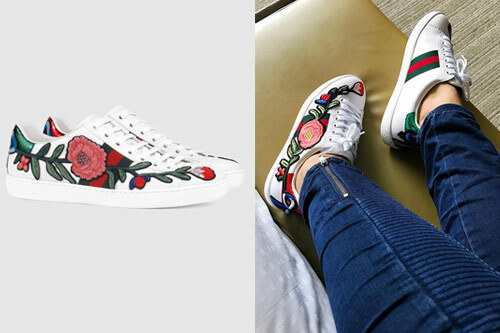 So which of your fave celebs are rocking these Gucci shoes? Check out this list below! Bea rocks a pair of classic Gucci Aces with a crocodile design on white leather. You can never go wrong with the classics! It costs P26,964. 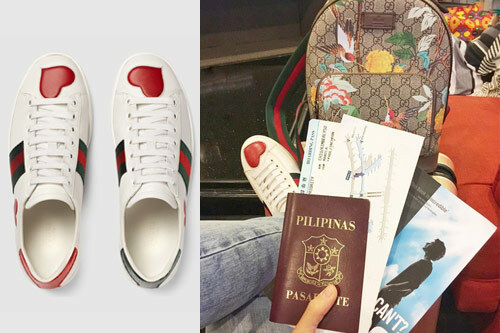 Kim Chiu sports a pair of white leather Gucci Ace sneakers with embroidered hearts on the tips. The left foot is detailed with a red ayers serpent, while the right foot is detailed with a green ayers serpent. It costs P29,711. KC is rocking a pair of Gucci shoes embroidered with a golden bee. It costs P29,711. Maine’s Gucci Aces are bedazzled with crystal arrows. Hers cost P34,704. 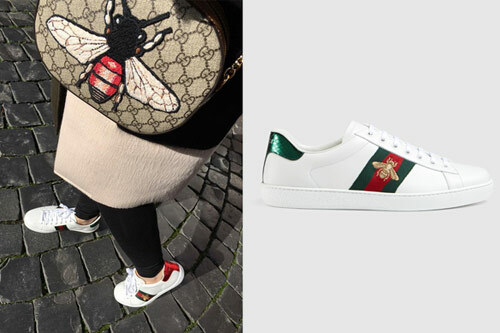 The Gucci website says Sarah’s particular pair of sneakers has a design that “extends around the outside of the sneaker and ending with a back bow.” Taylor Swift rocked the same pair of Gucci shoes in 2016. It costs P34,704. Mrs. Pacman’s Gucci Aces are adorned with fake pearls and a blue-red-white stripe called a Sylvie web. It costs P48,936. granting them a leg up when it comes to fashion and style. Which pair of these Gucci shoes is your fave? Who do you think has the best taste when it comes to Gucci Aces? Let us know below and don’t forget to share this with your fashionable friends!